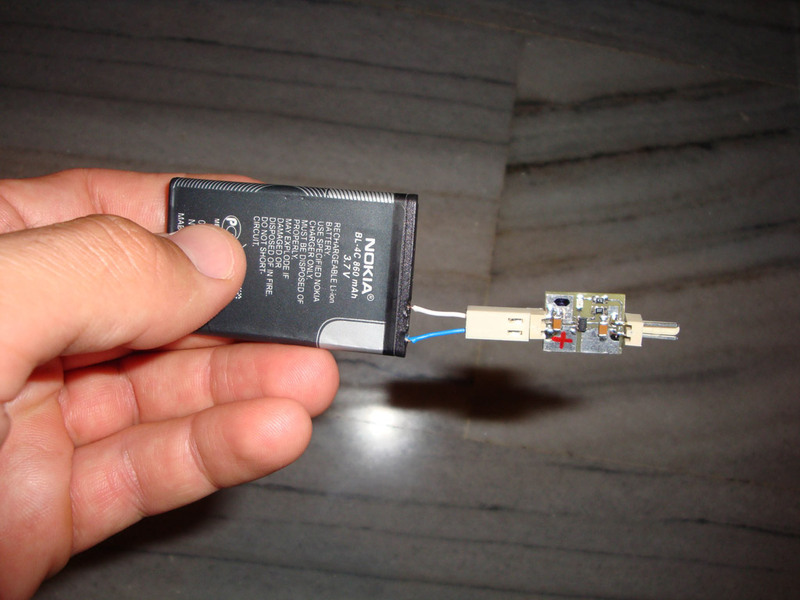 The Tiny Lithium Charger. Another view of the size. The Pcb in a sided view.. The back side of the Pcb. I will etch the marked area to use a cable as a vias for better IC cooling. 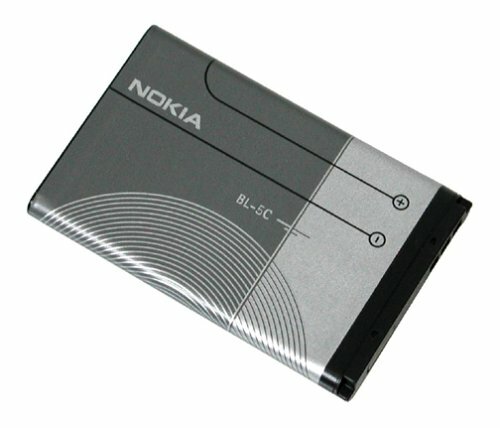 Another type of Li-Ion battery i used. The charger plugged on the battery. 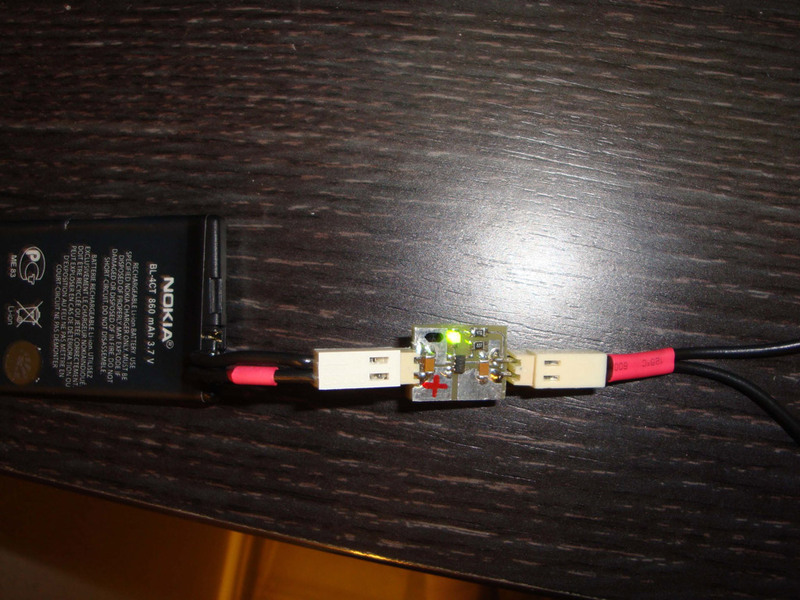 The charger while charging a Li-Ion battery. Depending on your needs and according to the selection of the MCP738** you are going to use, the "Preconditioning" and the "Constant Voltage mode" are fixed by the manufacturer. The only selection you will have to make is the RPROG resistor. 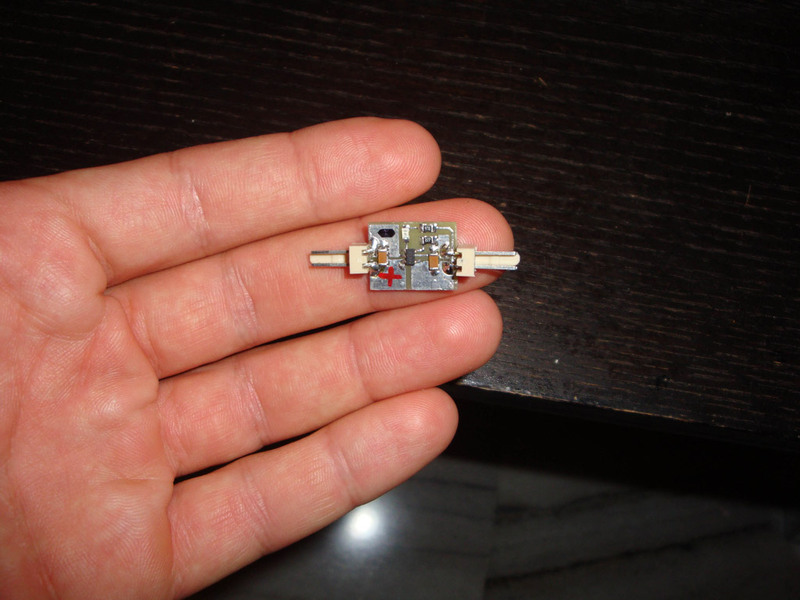 The RPROG resistor sets the output current and it must be selected of 1C of the capacity of your battery. "This charging method is rated at 1C and it is safe to be used according to battery manufacturers." When charging the battery cell the MCP has a pin (named STAT) where you can easily watch, in which state the charging cycle is. Below is the output state in each charging step. So you can use a single led as i did (see in schematic) and when the charging is complete the led goes off. 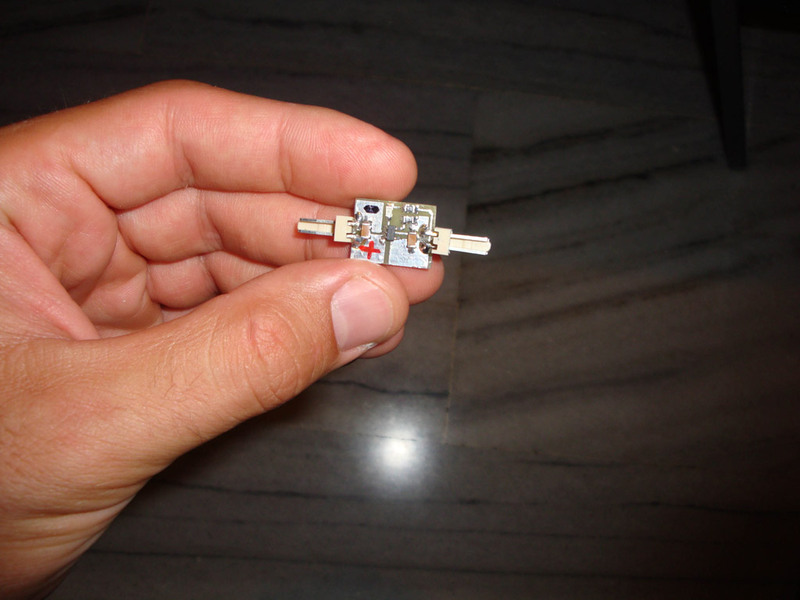 You can use a bicolor led (red/green) and connected in a way that when charging to be the red led on and when it is completed the green to lit up. In the article below i would like to share useful info about Lithium batteries where i found looking all over the internet. Below are the links from the sites i have searched for.They really helped me to understand what's inside a Lithium battery, which methods are used to charge properly a cell, chemical reactions that happening during charging or discharging and also what dangers lies in them. Special thanks to all !!! 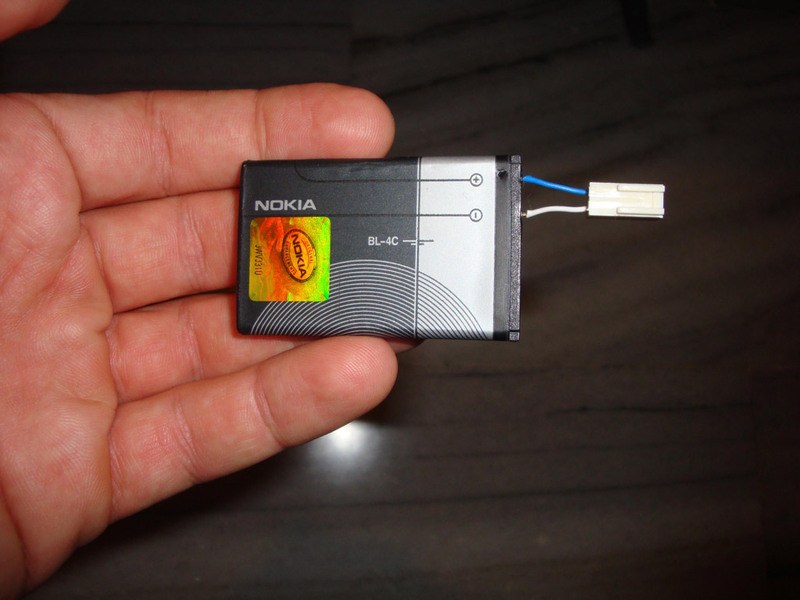 A Li-Ion battery used in Nokia Cellphones. This type is widely used because it can provide the higher energy density of any other commercial battery technology. (Such as Nickel-cadmium (Ni-Cd) or Nickel Metal Hydride (Ni-MH) ). To be more specific this type of bettery is called Regular/Normal and it is suppose to last for over 500 charges (with proper charging method), stay safe due to the internal protection battery circuit they have, and provide a C or two of current. Depending on the shape and chemistry of the lithium cell, you can find them under different nominal voltages. 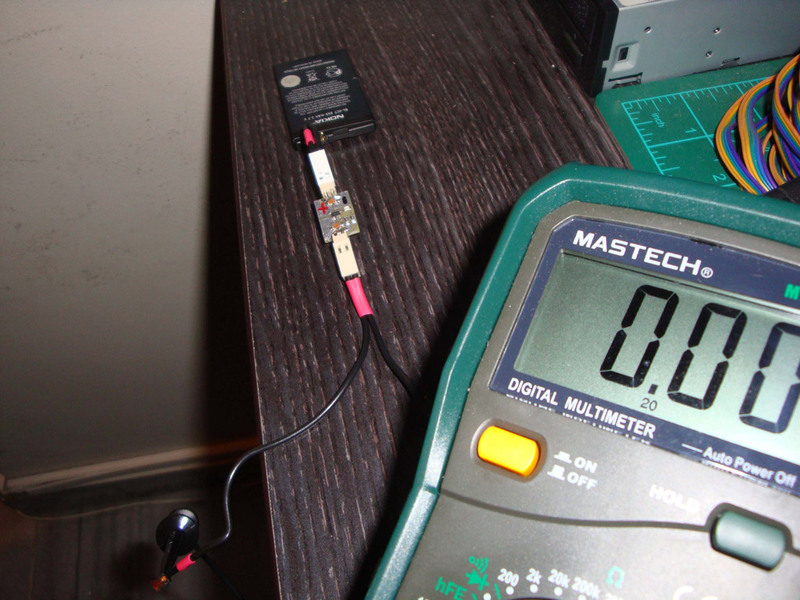 Almost all lithium polymer batteries are 3.7V / 4.2V . 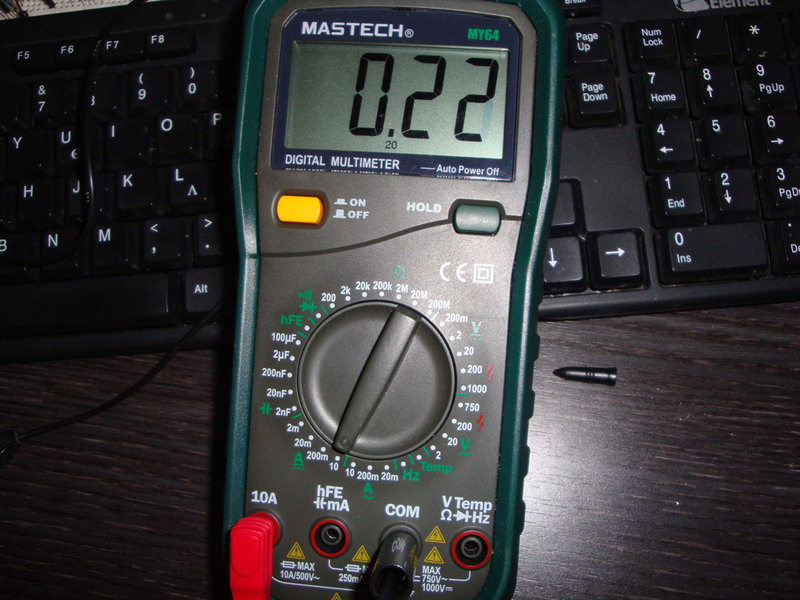 This means that the maximum voltage of the cell is 4.2v and that the nominal voltage is 3.7V. The battery voltage starts at 4.2 (max) and quickly drops to 3.7V for the most of the battery life. 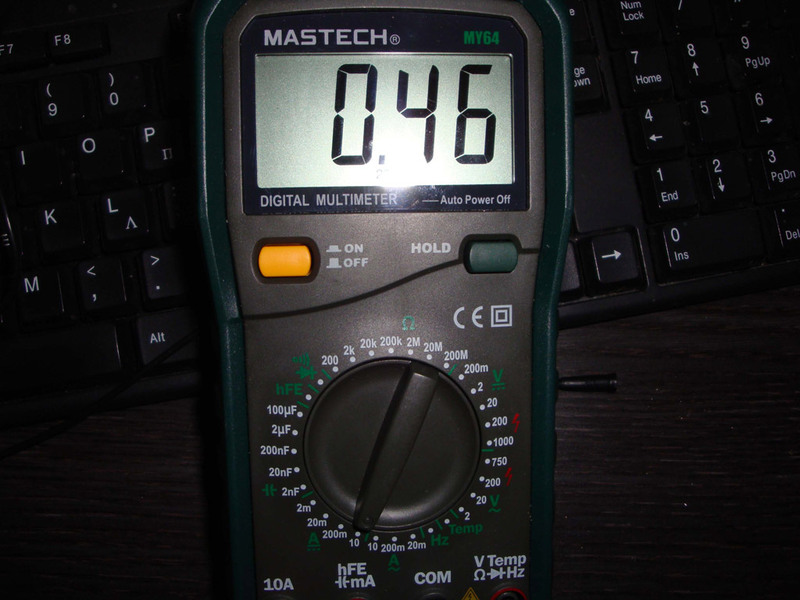 As you use the battery the voltage drops lower and lower. 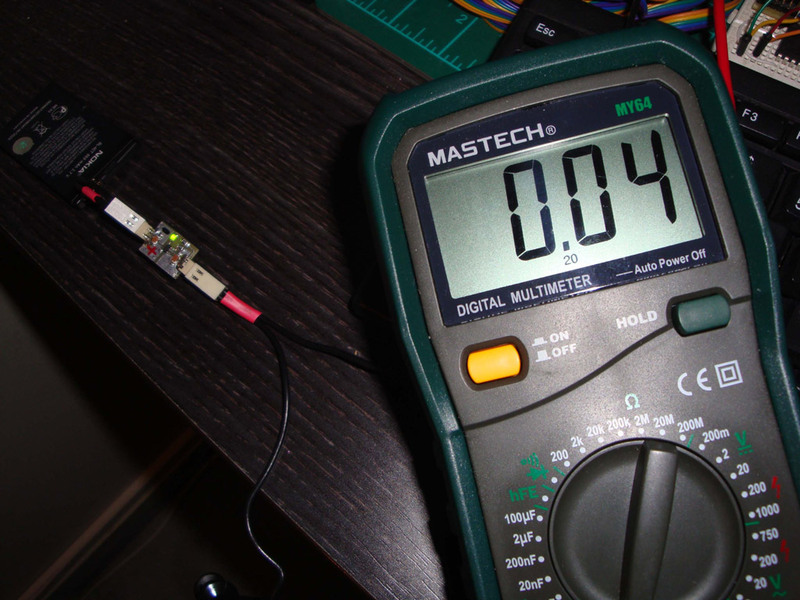 When it reaches 3.4V the battery is considered as "dead" and around 3.0V a protection circuit disconnects the battery off the circuit. 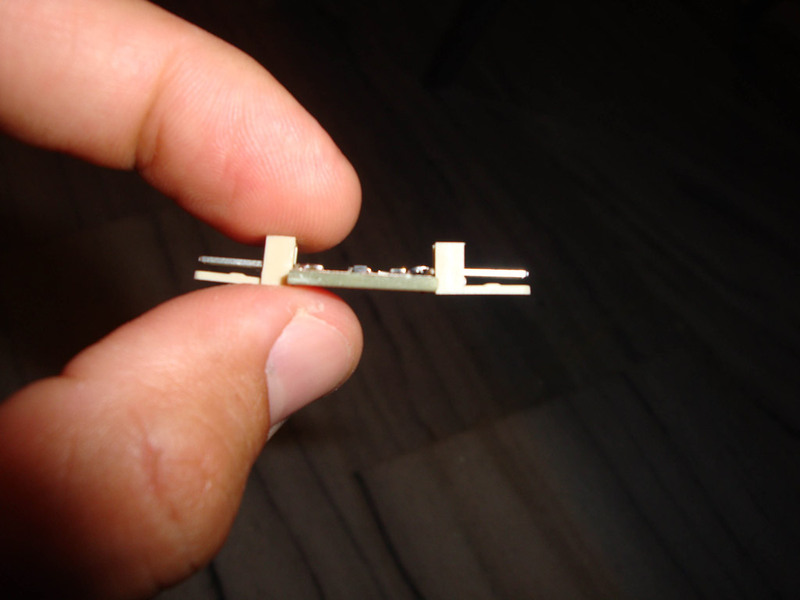 A Li-Po battery.You can distinguish the power supply cables with the balancer connector. 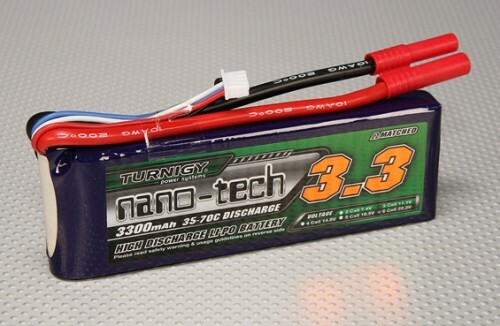 Lithium-Polymer batteries ,also written as Li-Po or LiPo are rechargable batteries where are mainly designed for radio controlled cars, planes, quad copters, helos etc... LiPo batteries are usually composed of several identical secondary cells in parallel to increase the discharge current capability, and are often available in series "packs" to increase the total available voltage. They can provide a lot of power at once, up to 20C and are designed to never "cut off" so that the battery will be damaged instead of having the plane fall out of the sky... Each cell has same voltage as Lithium-Ion but as we said before, because of they usually parallel the cells you can find different "nomimal" voltages such as 3.7, 7.4, 11.1, 14.8, 18.5, 22.2, 29.6, 37.0, 44.4 . This type of battery needs extra caution because it hasn't any protection circuit on the battery. and overcharging it will cause potential explosion!!!!!. Also a balancer connector (connected on a balancing circuit) ensures that all cells are always within 0.01-0.03 volts per cell so overcharging or discharging one or more cells won't destroy the battery pack, or worse to explode or catch fire !!!!!. Li-Po might been seen if soft, cylindrical or any other shape, where Li-Ion batteries where you can usually find them in a hard commonness shell. 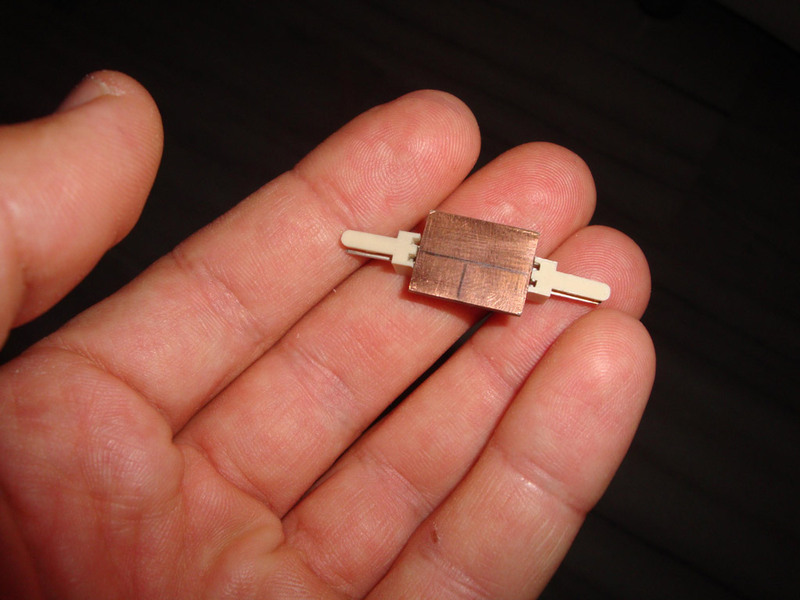 Li-Ion use a flammable solvent based organic liquid where Li-Po use a dry electrolyte polymer separator sheet that resembles a thin plastic film.
" Proper Charging...... " Lithium batteries must be treated with caution!!! Lithium is a highly reactive material that can, burst into flames if it comes into contact with water!!!! !Engineers and scientists have worked hard to develop novel compounds that can leverage the advantages of lithium while producing inexpensive, reliable, and safe batteries. It is very important to charge the Lithium-Ion batteries correctly.... Overcharging a lithium cell will be dangerous since it will explode or catch fire!!!!! Where undercharging a lithium cell will significantly reduces the battery capacity. Undercharging the battery by 1.2% of its optimum full-charge voltage, lowers the capacity by a remarkable 9%. Designers aim to charge the cell to within 1% of its optimum full-charge to get the most out of the battery. In the 1970s scientists used titanium sulphide as the positive electrode and pure lithium metal as the negative. Titanium sulphide is an intercalation compound. Such compounds are materials with a layered crystalline structure that allow atoms, ions, or molecules of other materials to migrate and then reside between the layers. During discharge, lithium ions moved from the negative electrode to the positive. Charging forced them to move back the other way. Unfortunately, after many charging cycles they discovered that the lithium electrode formed dendrites, rough spikes of the pure metal that were highly reactive and could cause fire or even explosions!!!. Innovation came by an alternative lithium-based intercalation compound. 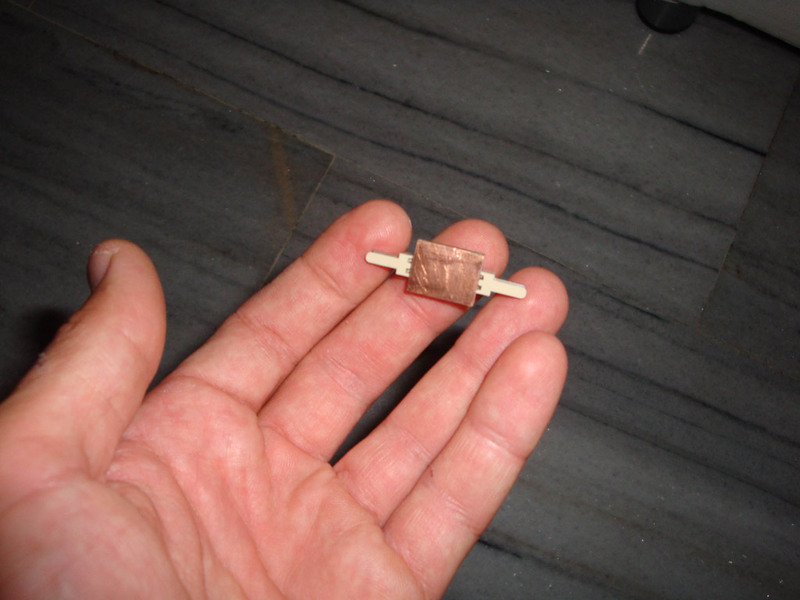 After many tests scientists found that Lithium-cobalt-oxide (LiCoO2) was the perfect option, to replace the pure lithium metal.A material which is stable in the air. Each type exploits a reversible electrochemical reaction.Charging is achieved by applying a current that stores energy in the cell to be released later by the reverse reaction. (around 3,900 Ahr/kg compared to 260 Ahr/kg for lead). Lithium ions are used in modern batteries because they are less reactive than the element's atoms, making the battery much safer. 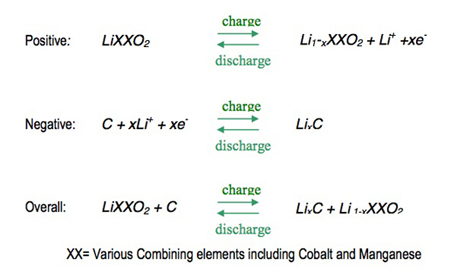 Today's Li-ion batteries use two intercalation compounds for the positive and negative electrodes. LiCoO2 forms the positive electrode, while graphite is used for the negative one. The three participants in the electrochemical reactions in a Lithium-Ion battery are the anode, cathode and electrolyte. Applying a current to the battery causes the ions to move from the cobalt-oxide lattice into the graphite one. In the process, positive material is oxidized and the negative material is reduced. The move from one electrode to another increases the ion's potential energy. When the battery is used to power a device, the ions migrate the other way, releasing the energy stored during the original reaction. Inside a Li-Ion battery, lithium atoms move from one intercalation compound to another to charge or discharge..
Li-ion charge and discharge reactions..